There are two steering techniques recommended by driving instructors and endorsed by transport authorities - the ‘hand-over-hand’ and ‘pull-push’ methods. 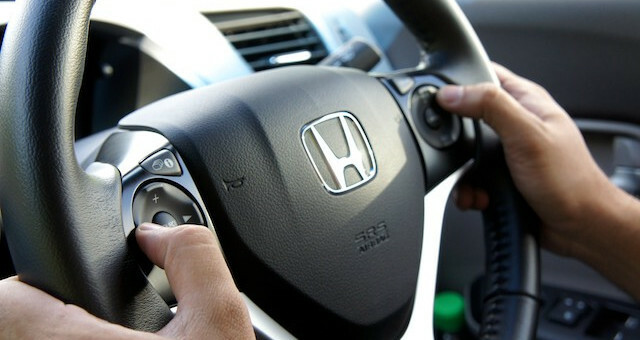 Except when using other vehicle controls, your hands should remain on the steering wheel regardless of the method you prefer. But what's the difference between the two steering techniques? Not many people know the details of both methods. Most experienced drivers use their own method which may include components of both techniques based on what feels comfortable. Unfortunately, this means poor steering techniques are easily passed on to learner drivers - one of the many reasons Driving Test VIC strongly recommends starting your learner experience with a number of driving lessons with an accredited driving instructor. Professional driving instructors can describe the techniques, make a recommendation based on their experience and teach you what's required. Here's a short video that shows the ‘hand-over-hand’ and ‘pull-push’ methods. This quick comparison allows you to see the differences between the two techniques and the requirements of each. The first 26 seconds shows the ‘pull-push’ method and the remainder shows the ‘hand-over-hand’ method. Which is the best steering technique? NOTE: When first practicing these techniques it'll probably feel a little unusual and uncomfortable. This is to be expected as it's different to what you're used to. Don't let this initial discomfort prevent you from choosing a method and persisting with it. Regardless of the steering technique you eventually choose, remember that the most important thing is that you feel comfortable and have as much control as possible. Whether you end up using ‘hand-over-hand’ or ‘pull-push’, being uncomfortable or not being in complete control of your vehicle will likely eventually result in an accident.